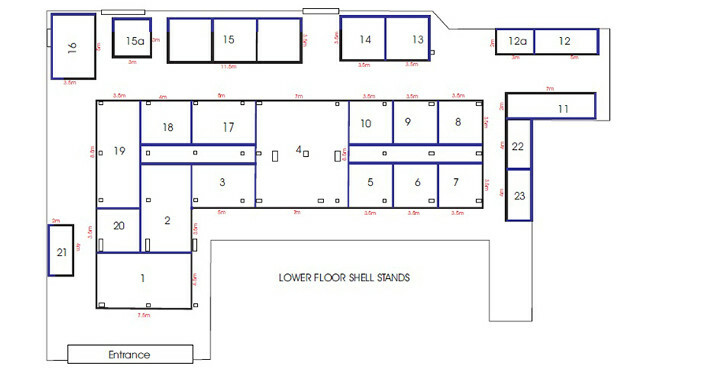 The images below show typical shell scheme hall plan examples for shell schemes. 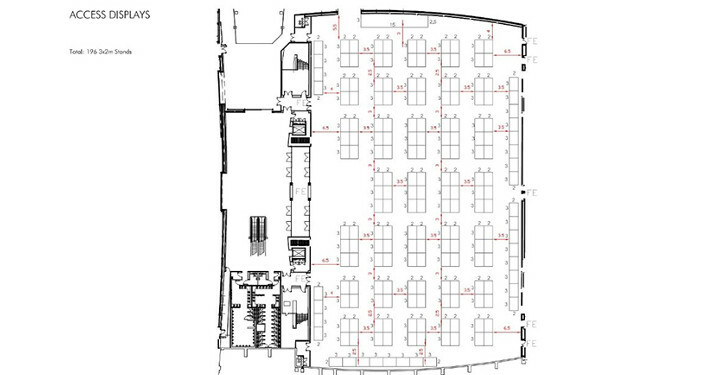 Typical information you’ll find on hall plans is the space or stand numbers. 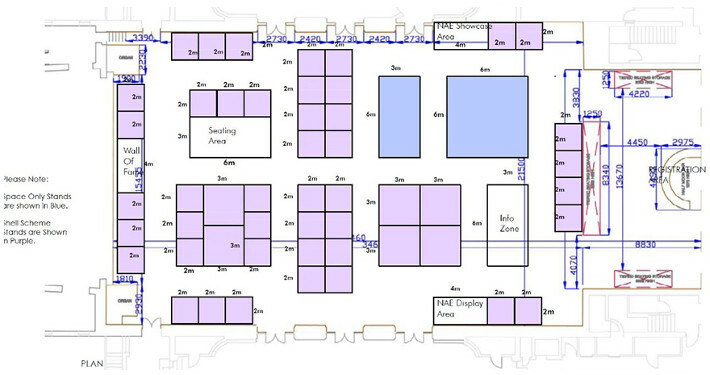 You’ll also find the size of exhibiting space. 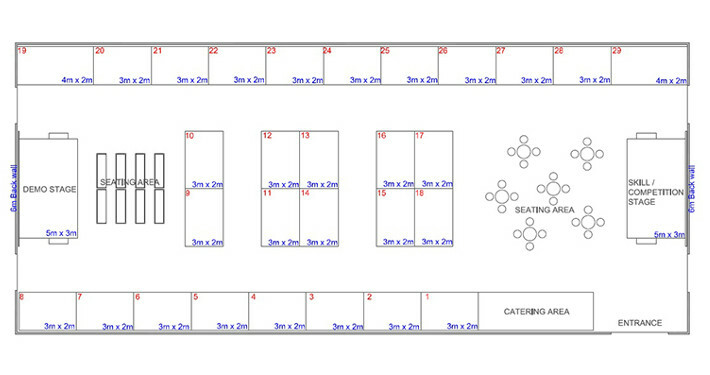 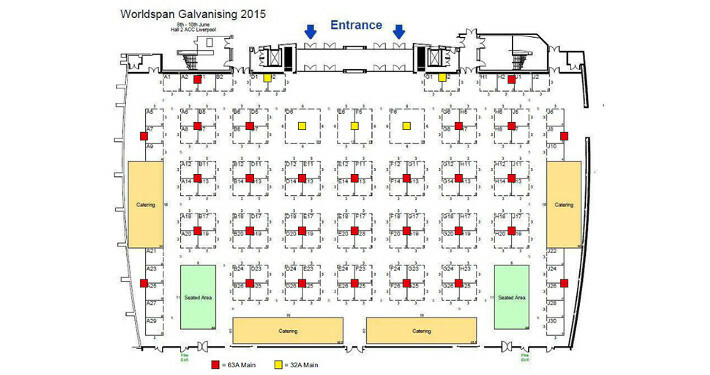 Updates to the floor plan take place as and when exhibition space sells to your clients leading up to the show. 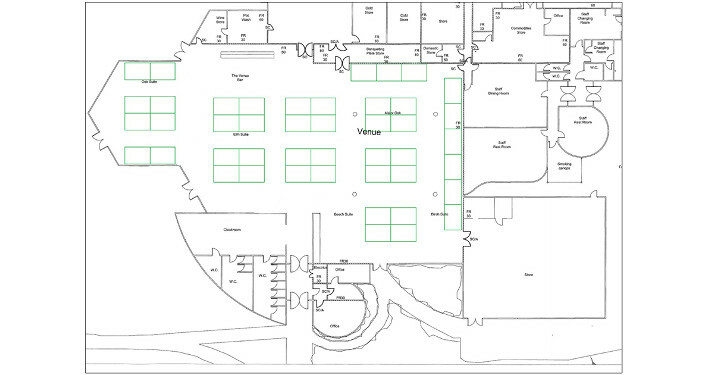 During the process, your project manager will work closely with the venue and yourselves. 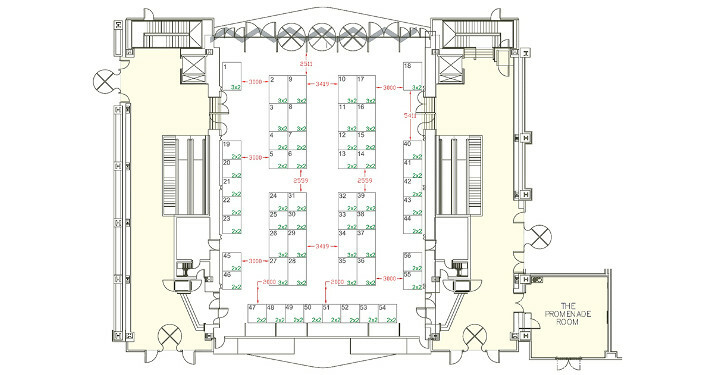 This is to ensure the shell schemes will make the best use of the space. 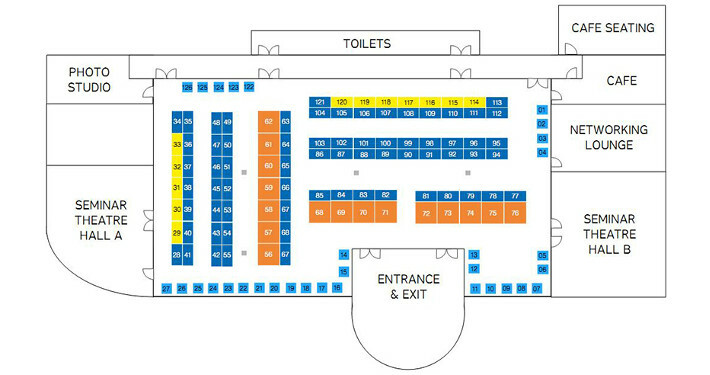 Whilst also adhering to regulations and best practice models.